First declared by the United Nations in 1999, World Space Week has grown to be the largest public space-related event in the world. The week celebrates the advancement and contributions of space technology and exploration. This year’s theme is “Exploring New Worlds in Space” and aims to encourage and inspire new experimentation, discovery and participation in advancing ways to explore the cosmos beyond earth. As a child Kathy Sullivan loved to explore. Her father designed airplanes, and when he brought home blueprints, she carefully studied every line and curve. When she saw airplanes in the sky she wished she were on them, flying to exciting locations all over the world. Maps and foreign languages fascinated her. “Their strange symbols, exotic tales, and musical sounds made her feel like the world was waiting for her.” Kathy wanted to see that whole world and thought maybe she’d like to be a spy or a diplomat, but her friends and other adults told her those weren’t jobs for women. As an adult, Kathy put all of these experiences to good use as she studied complex science that would lead her to NASA. And when she became the first American woman to walk in space, she fulfilled her childhood dream to see the whole world! Carmella Van Vleet and Dr. Kathy Sullivan, have written a compelling biography of Dr. Sullivan that not only tells the story of her adult achievements, but also reveals the childhood and teenage motivations and influences that fostered her journey to the stars. As each event in Kathy’s young life is introduced, it is followed by an adult accomplishment: Kathy’s poring over her father’s aircraft blueprints leads to a spread of college-age Kathy studying charts in textbooks. Her enjoyment of swimming underwater is followed by an illustration showing her NASA training underwater. Her initial introduction to a plane’s instrument panel informs her later responsibilities inside the spacecraft. And the question she once asked herself as a child—what kind of job would allow her to see the whole world—is answered as the astronaut Kathy gazes down at Earth from space. Nicole Wong’s lovely, realistic watercolor and ink paintings clearly show readers Kathy Sullivan’s trajectory from curious girl to accomplished astronaut. The blueprints that Kathy studies are filled with schematics. The aqua water she swims in swirls and bubbles in the wake of her cannonball dive, and the crisscrossing fields lay like a mottled green quilt under the Breezy. 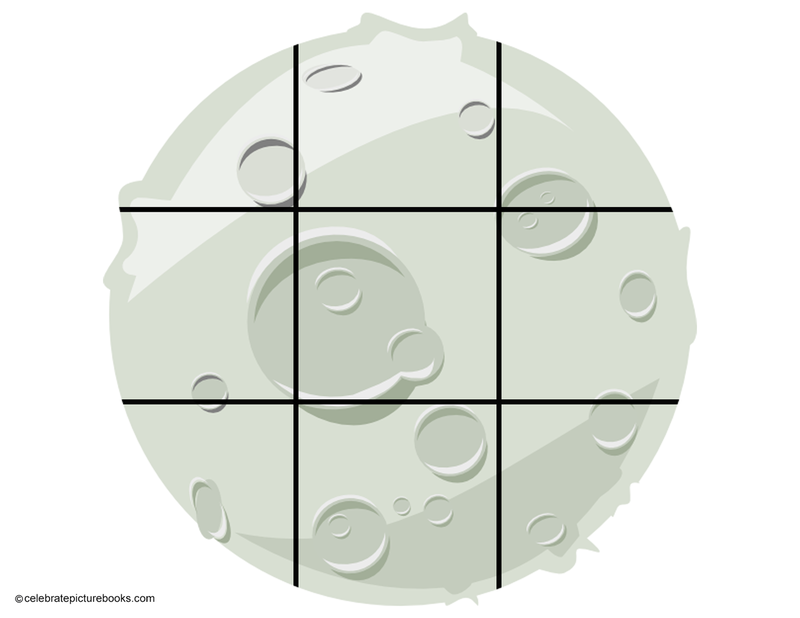 Especially stunning and effective are the illustrations of Dr. Sullivan’s work with NASA. Kids will love the up-close view of the spacecraft’s instrument panel with its myriad buttons and dials. Likewise, they will find the gorgeous two-page spreads of the space shuttle’s launch, the view from the cockpit, and Kathy’s spacewalk particularly thrilling. Following the text is a personal note from Kathy Sullivan to her young readers. More extensive biographical notes reveal how Dr. Sullivan discovered her love of science as well as information on the NASA missions she supported. Two more pages highlight the women of the first space-shuttle class, which included Kathy Sullivan, and other firsts by eight other women in space. 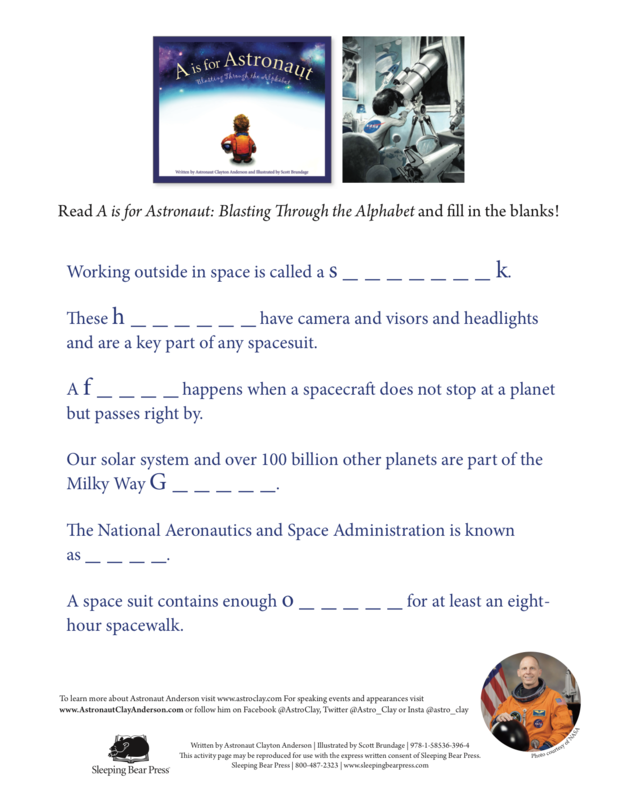 To the Stars is a wonderful book to teach children that following their own heart is the best path to future happiness and personal accomplishment. It’s a beautiful addition to any budding scientist’s or adventurer’s library! 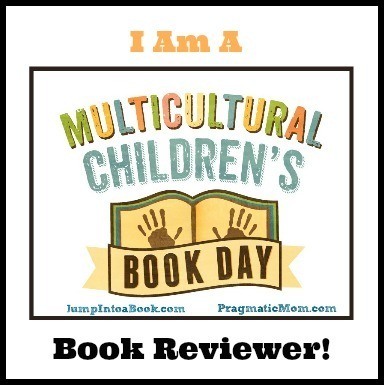 To find fun activities for To the Stars—including how to make space play dough—as well as other books by Carmella Van Vleet, visit her website! To learn more about Nicole Wong and view a portfolio of her artwork, visit her website! 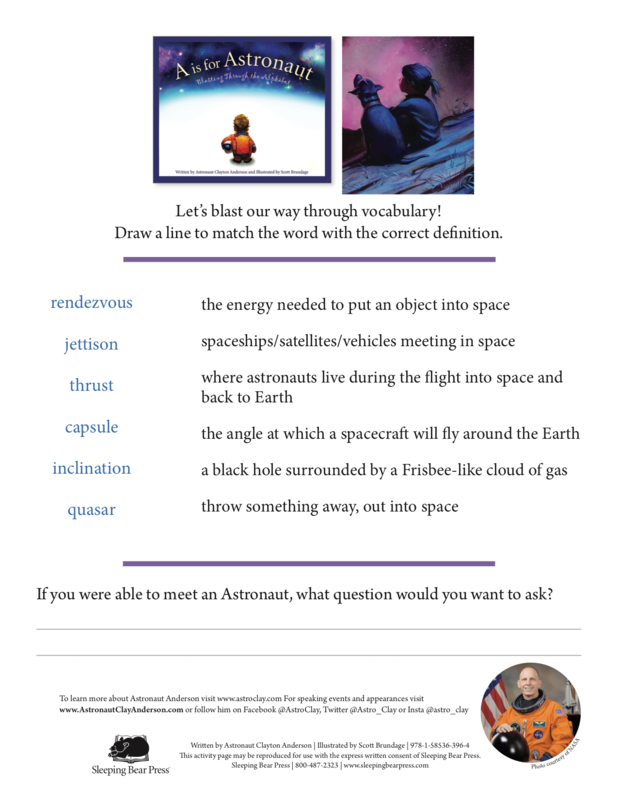 Would you like to be an astronaut? 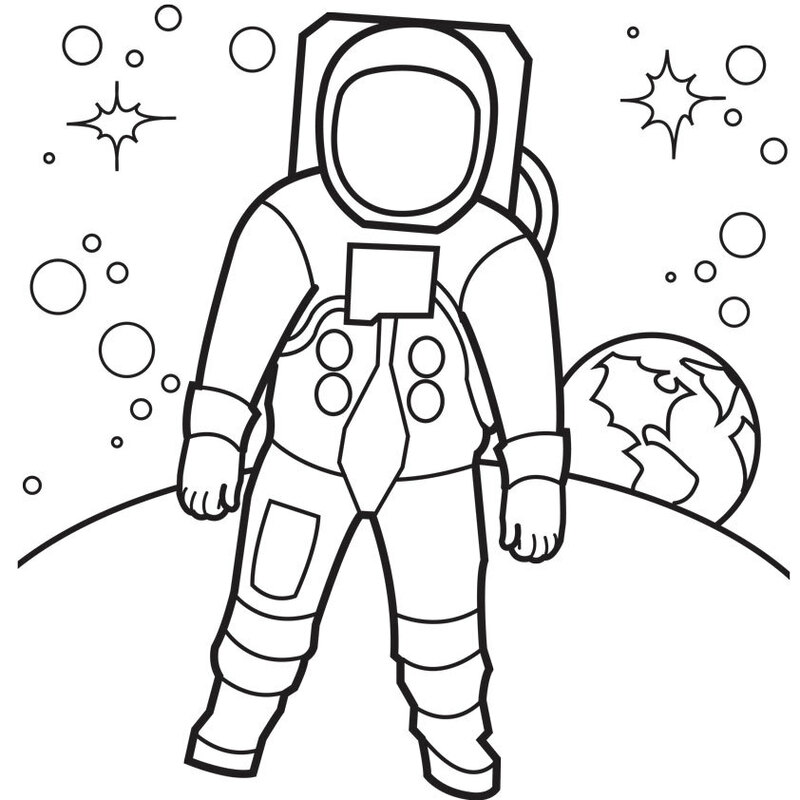 Draw yourself in this spacesuit and then grab your crayons, pencils, or markers and have fun with this printable Astronaut Coloring Page!